The other day we held a little Doc Mcstuffins party all the celebrate the new Doc mcstuffins series. The Doc has brought her practice to toy animals too becoming a pet vet. This has also meant some cute new characters to the show too. We received a massive box of stuff and Ami invited some of her little friends. Some couldnt make it on the day but we made it work with four toddlers. The morning of the party Ami and Son Son helped to decorate some cakes and set up the room for the party. 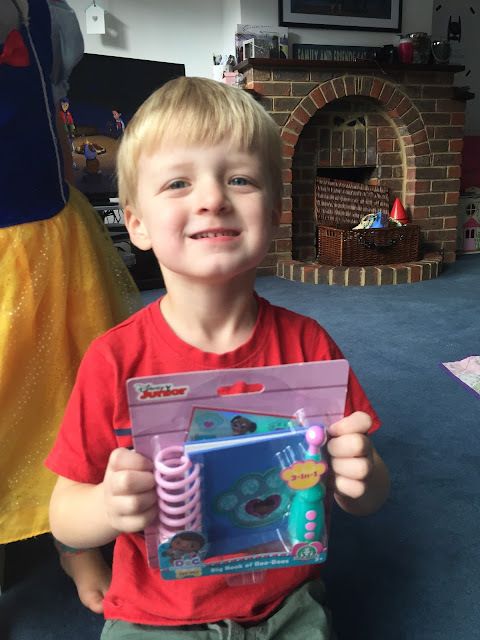 We watched some of the new Doc Mcstuffins to get us in the mood. 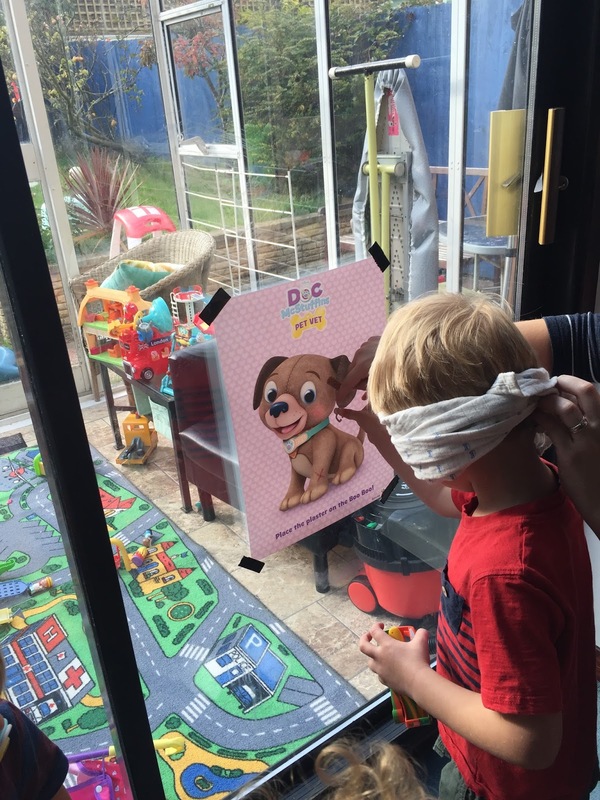 Then her friends arrived and we got into our first game pin the plaster on Findo the dog boo boo. Poor dog ended up with more plasters all over him than on his cut. The toddlers loved it, the smaller ones able to just place the plaster on Findo ( they still missed). The next game we played was Doc Mcstuffins Memory game. I got all the items out of the box and explain what they were. I then hid one item and they had to guess which one was missing was rather funny. The little ones it went over there head whereas the older toddler did get a but competitive. We also had some healthy snacks along with lots of less so health snacks. The cakes that Ami and Son Son decorated look awful but were actually rather nice. All the toddlers loved the snack time they were rather quite throughout. 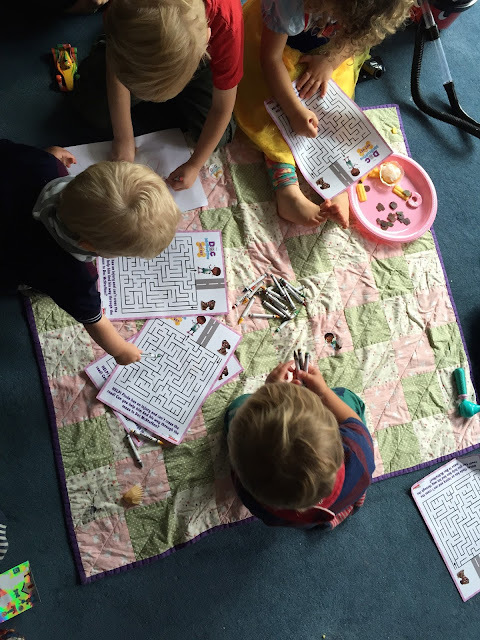 Next up was a spot of colouring and helping Findo find his way out of the maze. Finally the vet clinic was open with Doc Mcstuffins making an aperance. 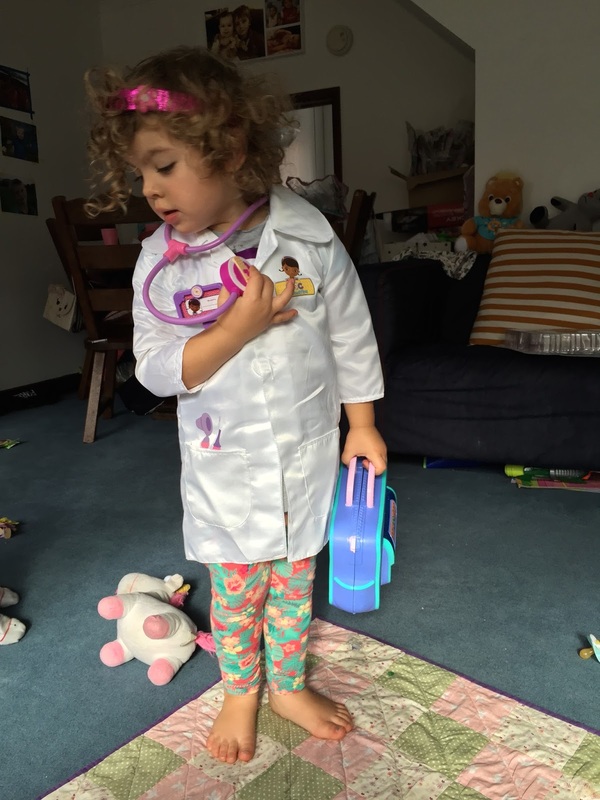 All the poorly animals got a check up and CB and Ami took it in turn to be the Doctor. We also got sent this awesome interactive Doc Mcstuffins which I was going to hide away for Christmas but the toddlers spotted it and I couldnt resist. Bad parenting I know. 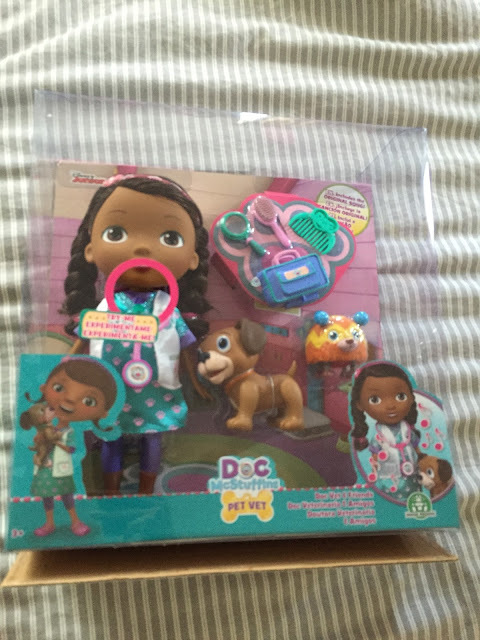 If you would like to know more about the new Doc McStuffins Pet Vet range you can check it out here. 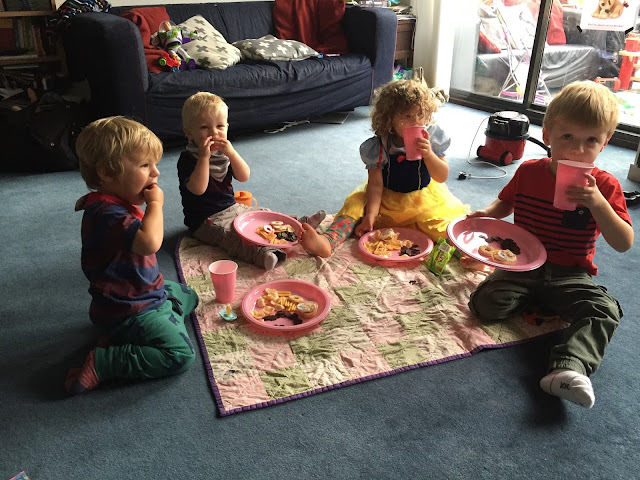 The twitter party itself hosted by UKMumsTV and lots of people joined in. Including ourselves and my husband who loved it (he did admit to looking on line for info about Doc Mcstuffins). The children loved playing with some new toys, was a lot of fun.